This plant is a perennial, and has a round stem two or three feet high, and a tapering, branching, whitish root. The leaves are alternate, deep green, soft, and downy. The flowers are large, numerous, and of purple color; calyx five-cleft; petals five; stamens indefinite; pollen large, whitish. 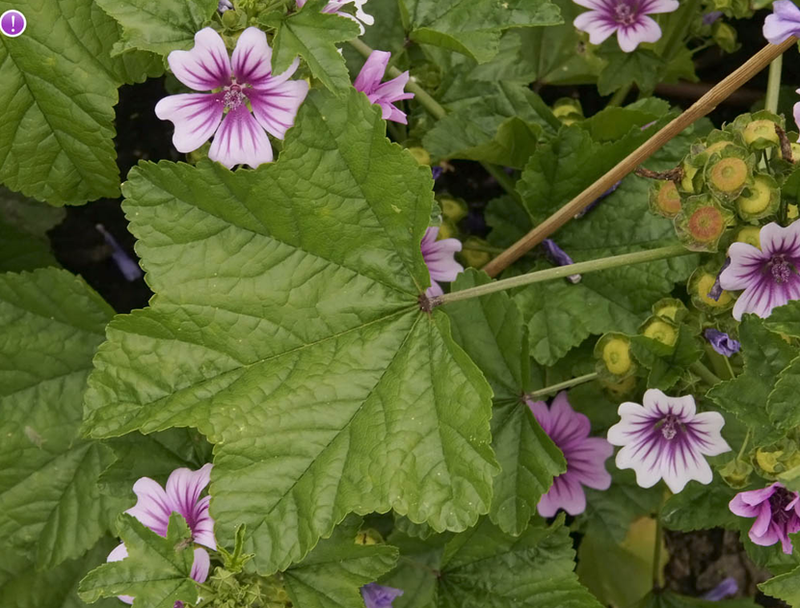 Malva sylvestris subsp. mauritiana (L.) Boiss.